Lab suppliers marketing life science solutions and working to sell lab equipment in Boston will find Harvard University to be a very well-funded market, a fact which NSF and NIH research funding statistics support. In 2012, the NIH awarded Harvard University $392 million in research funding. The funding was distributed among a number of different departments at the university, including anatomy and cell biology, biochemistry, biology, biomedical engineering, biostatistics, internal medicine, microbiology and veterinary sciences. The best funded life science departments were microbiology, immunology and virology, which received collectively 105 awards totaling $65.7 million. For a full list of departments receiving NIH funding organized by department name, total funding awarded and number of awards received, please visit the NIH website. In 2012, the NSF also awarded Harvard University $55.3 million in research funding. The money was distributed among various projects in the life science field. These programs of study included systematics and biodiversity science, molecular biophysics, cellular dynamics and function, evolutionary processes, ecosystem science, bio informatics, population and community ecology, developmental systems, and genetic mechanisms. Given Harvard University’s latest $9.8 million NIH grant and the latest NIH and NSF funding statistics, lab suppliers working to sell lab equipment and market life science solutions may want to take advantage of the wealth of research funding in this market by attending Boston life science marketing events held at Harvard University. 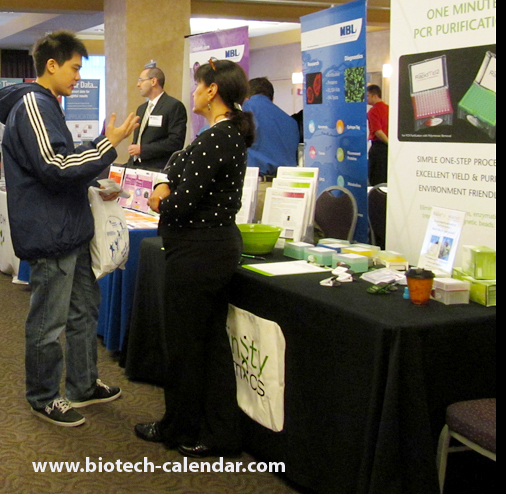 Biotechnology Calendar, Inc. invites lab suppliers to network with researchers, lab managers and purchasing agents at our Boston BioResearch Product Faire™ Event. Biotechnology Calendar, Inc. is a full-service science research marketing and events-planning company that organizes life science marketing events at top research universities across the country. If you’d like to market your life science solutions and work to sell lab equipment at life science marketing events closer to home, we encourage you to view our 2013 calendar of events. For more information on our Boston BioResearch Product Faire™ Event, or to view more funding statistics for Harvard University, click on the button below.